How many cups of coffee does it take to make vacation rental software for hosts all over the world? How many times will our reservation specialists listen to Journey’s “Don’t Stop Believing” in a year? More times than we’re willing to admit. OneRooftop, with all our recent growth, changes, designs, marketing tips, overcome challenges, and song choices — well, we have a lot to feel proud of this year. We put together this entertaining reflection piece that highlights some of our favorite accomplishments from this year. At the end of the day, this is a year-end report for all of your accomplishments too. We’re all so grateful for your business and continued support. 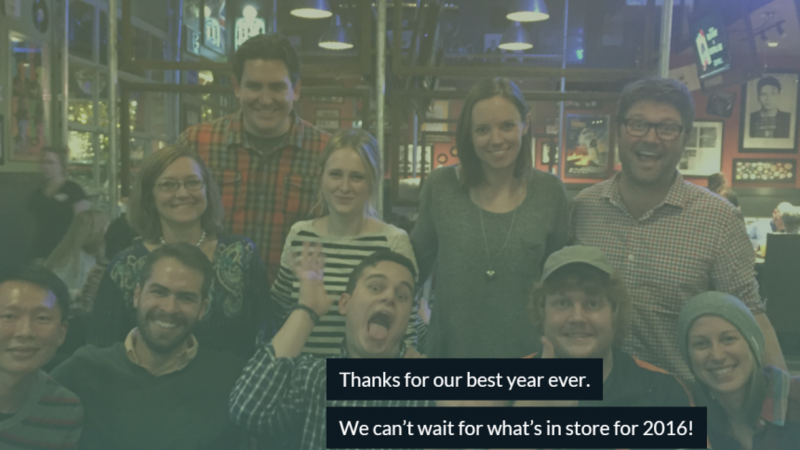 From all of us at OneRooftop, from Denver to San Francisco, we’d like to wish you a very happy new year! And now, come look back at 2015 with us. Guess how many hacky sack toe stalls our lead designer did this year! Next → Next post: Are Your Thank You Notes Getting You More Bookings?